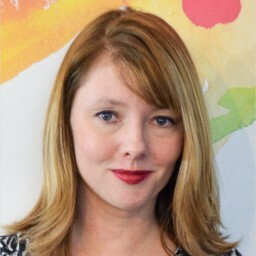 Marybeth Santos is a blogger at Lifestyle for Real Life where she blogs about crafts, keto, home decor, and whatever else happens to capture her attention! 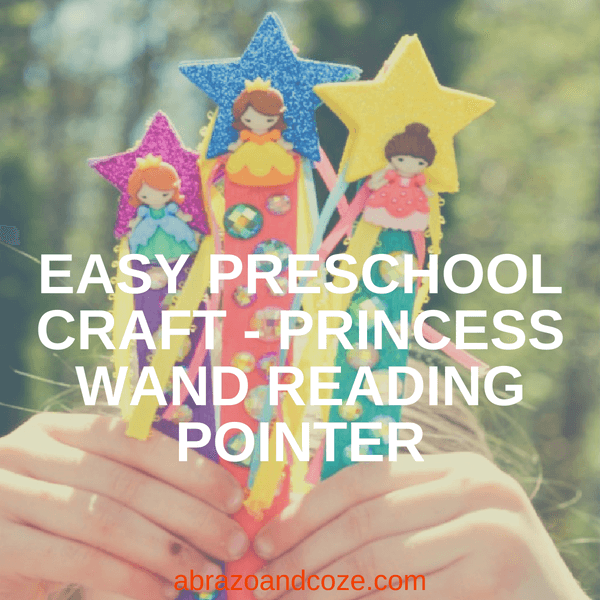 Since I love her blog (seriously, go check it out), I was happy she agreed to write this easy preschool craft princess wand reading pointer tutorial for Abrazo and Coze. 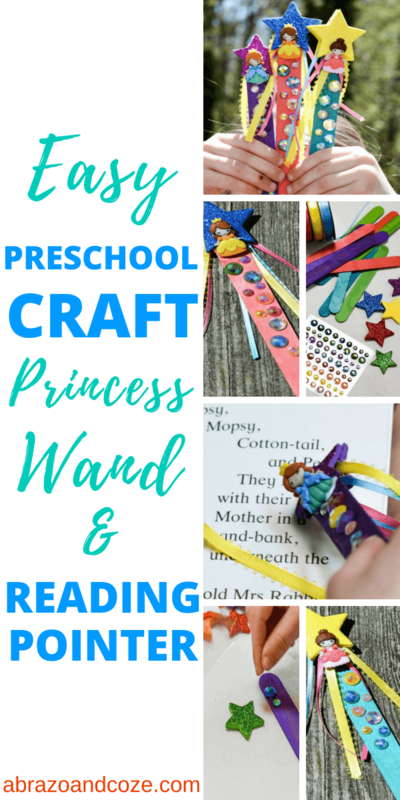 Whether it becomes a wizard’s magic wand or a royal septor, I’m sure all your little darlings will have a blast creating this decorated wand and reading pointer. I’m a mom to two totally not crafty kids, Sophia, 13 and Will, 11, so I was super excited to get to put together this Easy Preschool Craft for Anna. I hope you enjoy it! When my kids were preschool age, they had absolutely no interest in crafts. (I KNOW! THE HORROR!). Luckily for me, I have a three year old niece, Emily, who is not only interested in crafts, she’s totally good at them, too! I mean for a three year old, the girl has a serious attention span and attention to detail. She was visiting the other day and I pulled her in front of my laptop and asked her to pick out some crafts she might like to make. 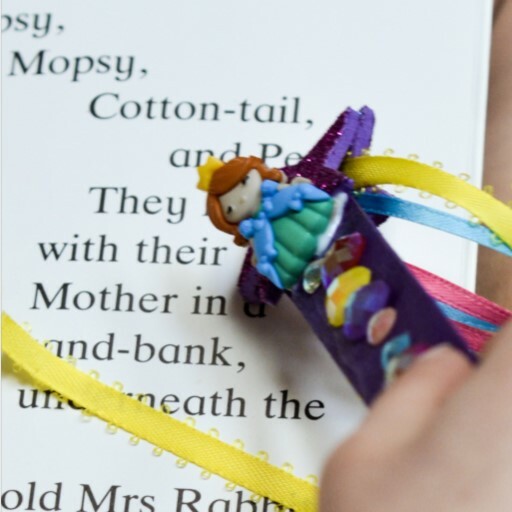 We were both captivated by these Magic Wands from Creative Family Fun that can be used as either a bookmark or a reading pointer. They are the perfect easy preschool craft! Now, I know why Emily loved these wands. They are pretty and sparkly and they have little tiny Princesses on them. I, however, have another set of standards for when it comes to making any craft. For me, a craft has to be not just pretty, but also functional. The Princess Wand Reading Pointers we made cover all the bases. Emily is three and doesn’t read yet, but what’s great about these little wands is that their purpose is to be used as a bookmark, and also a reading pointer. While mom or dad (or Auntie!) are reading Emily a story, she can sort of follow along the words with her pointer. For now it’s just for fun, but as she gets older and starts to recognize words, she’ll be able to use the pointer to track words. It’s a great practice to start early and makes reading even more interesting for an active three year old. This craft has to be one of the easiest I’ve ever done. I’ve not done a lot of preschool crafts, but this was a lot of fun for me and Emily. Actually, my mom even got in on the action on this one! Three generations at one crafting table, people. That’s family time gold. That’s the stuff the kids remember when they’re older. I mean, not my kids, of course, because they wouldn’t craft with me, but some kids do! Emily will. Glue Gun (also optional, but I had to use it to attach the buttons to the sticks. Don’t let a 3 year old anywhere near a hot glue gun, in case that needs saying). **The materials here are really just suggestions. 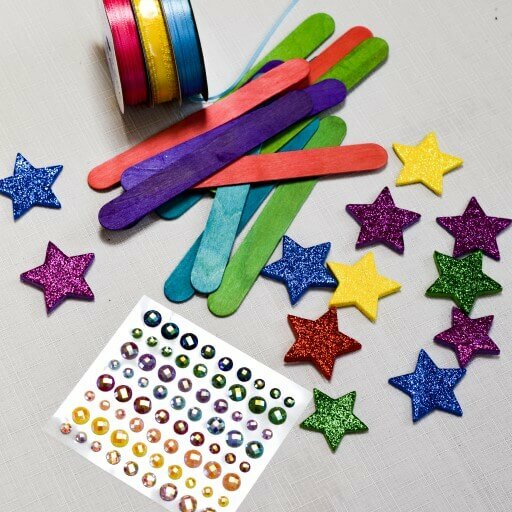 As long as you have your craft sticks, you can really decorate them with whatever you want! Dig into your craft drawer and see what you can find! Pick your favorite color craft stick. I know, this is hardly a step. But for your preschooler, it might be a step. And by step, I mean, it might take a little while. Maybe just plan on making more than one reading pointer. Just to make things a little easier, ok? Pick out your favorite sparkly star. You’re going to need two that are the same size. 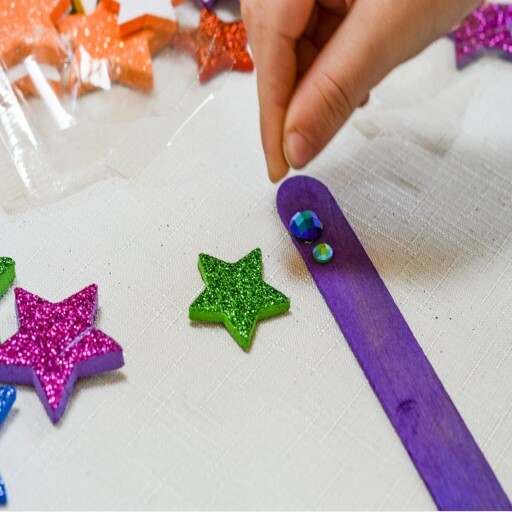 Attach one star to one side of your craft stick and then set it aside. 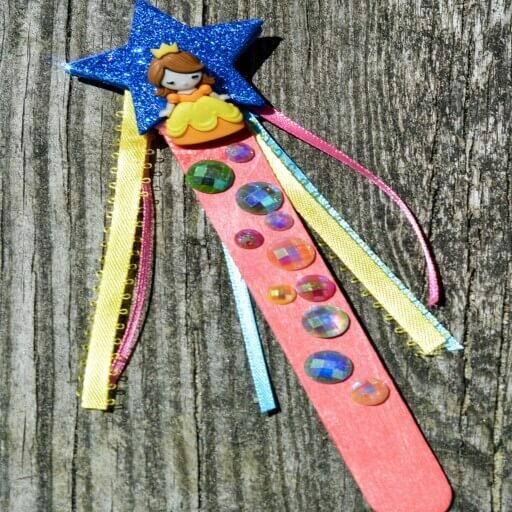 Cut a few lengths of your different colored ribbon and attach it to the sticky side of your star. Now, place your other star on the opposite side, sandwiching the popsicle stick and the ribbons so that everything sticks together nicely. Start adding your self adhesive rhinestones to the popsicle stick. To make it comfortable to hold the stick, try to leave the bottom third of the stick empty, but otherwise, go crazy with the rhinestones. I mean, why not, right?? If you have an optional button or other bauble to add to the wand and it isn’t self adhesive like my princess buttons weren’t, then you’ll need to pull out the hot glue gun here and attach. I did this no where near the three year old because I’m super cautious. I left the crafting table and did this in the kitchen at the counter where the little one couldn’t grab it – I don’t want anyone but me getting the glue gun burns. I’m surprised I even have feeling left in my fingertips at this point, really. Give the hot glue a few minutes to dry, but other than that, you’re done! This easy preschool craft was just that. It was easy. It was perfect for a preschooler and it was done in about 20 minutes. Please be sure to allow extra time for indecisive three year olds. Also, if your mom decides to jump in on the crafting action, you might have to allow extra time for her creative flair. Just something to keep in mind. If you’re preschoolers have older siblings who are feeling crafty, but not into the reading pointers, they’ll probably enjoy designing their own easy bleach pen T-shirts. You know what’s the best about making crafts? When I stopped in to my parents (they watch Emily while her mom and dad work), she was flitting through the house with her pretty little wand in her hand. I’m not super sentimental for the most part, but I have to say, that kind of warmed my heart. Just a bit. If you love this idea but if you’re not sure that your little one would love the princess theme, just switch out the rhinestones and princesses for maybe a sports theme or superhero theme. This is just as useful and fun for a little boy or girl. And don’t forget the whole point of this craft! 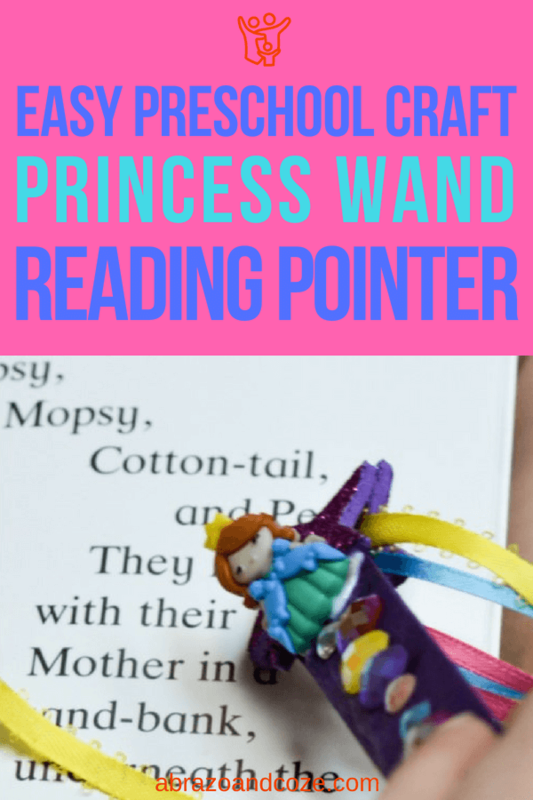 Sit down with your Princess Wand Reading Pointers and read a book together! If you don’t mind a little prep time, that will reap hours of independent play for your littles, make them some kid-safe, taste safe slime using one of these edible slime recipes. It’ll give them something to do when you’re all worn out from reading their favourite stories (over, and over, and over….). Or, if you aren’t really ready to put in the prep time, this super easy craft from Toot’s Mom is Tired will be a great way to spend time with your little one. Unfortunately my daughters are all grown past this stage. It is a great creative idea. This is SO cute. My daughter will love it. I`d love to see how it turns out! You can post a picture as a comment on a Pinterest pin, or email works, too. I will SO be trying to make these with my 2 year old daughter. Not sure how long they’ll last between her and my 1 year old son but they are just so cute lol. Thanks for sharing! Have fun! If you remember, post a photo to comment on a pin in Pinterest. I’d love to see their wands. This is an awesome craft idea. This is perfect for spring. I am definitely going to give this a try. I like it because not only do the kids get to be creative while making them, they get to act out their imaginations once they’re done. If you remember, post a photo as a comment on one of the pins in Pinterest. These are adorable! I’m going to do some super hero ones for my boys. Great idea! I’d love to see how they turn out. When they’re done (if you remember) post a photo on one of the pins in Pinterest, or share in the Abrazo and Coze facebook group. These are adorable! I’ll have to save this for when my daughter is older! Definitely. I bet she’ll have fun making her own special wand once she’s at the right stage to enjoy it. As long as you’re flexible on how the finished product turns out, you can always try it. I’d aim to use as many sticker elements as possible to make it easier for him. Just be sure to supervise – if your son is anything like my little Mountain Goat (16mths), the stickers might end up in his mouth, or everywhere but the popsicle stick. If you try it, let me know how it turns out! This is such a cute idea! Will definitely be saving this for when my daughter is a little older! It’s great, isn’t it? I’ll be getting crafty with Mountain Goat (1.5) and Monkey (almost 4) making these next weekend.